British Intelligence services have identified two Russian agents as suspects in the Salisbury nerve agent attack. "We were right to say in March that the Russian state was responsible. And now we have identified the individuals involved we can go even further." - Theresa May, Prime Minister. Parents and children all over the UK will surely sympathise with Theresa May and her Cabinet as they return to work after a pleasant summer break. But after those dancing videos in Africa, it appears as though the Prime Minister is serious about getting back to business. In a speech to the House of Commons, she laid the blame for the Salisbury nerve agent attacks squarely at Russia's door. May said: "We were right to say in March that the Russian state was responsible. And now we have identified the individuals involved we can go even further." She explained that as the police investigation had enabled the Crown Prosecution Service (CPS) to bring charges against the two suspects, the security and intelligence agencies have also been working to identify the organisation responsible. "Based on this work, I can today tell the house that based on a body of intelligence the government has concluded the two individuals named by the police and CPS are officers from the Russian military intelligence service, also known as the GRU," the Prime Minister added. She went on to describe the GRU as a "highly disciplined organisation with a well established chain of command". As such, she ruled out "rogue" action, saying it was "almost certainly" approved "at a senior level of the Russian state". To rule out any ambiguity, the Prime Minister explicitly said it was "part of a wider pattern of Russian behaviour that persistently seeks to undermine our security and that of our allies around the world". May explained that the police would not be seeking extradition of the two suspects - who were using the names Alexander Petrov and Ruslan Boshirov - as there was little point. However, she warned that if either of them travel outside of Russia, "every possible step" would be taken to detain them. After monitoring hundreds of hours of CCTV footage, police spotted the suspects, who were using false names of Petrov and Boshirov, flying into Gatwick and checking into a east London hotel. It is believed that they carried a fake Nina Ricci perfume bottle containing the nerve agent Novichok from Russia. This was then used to spray the deadly substance onto the door handle of the home of former Russian spy Sergei Skripal. He and his daughter Yulia were then contaminated and were later found seriously ill on a park bench in Salisbury. Both Sergei and Yulia were taken to hospital in a critical condition, as was Detective Sergeant Nick Bailey who was also affected when he found the pair. Months later, Dawn Sturgess and her partner Charlie Rowley came across the bottle, which is thought to have been found in a charity bin in nearby Amesbury. Both were taken to hospital in a critical condition, where Sturgess later died. The charges against the suspects are related to the Skripal incident, rather than the later event as the police have been unable to bring charges over the death of Sturgess or the poisoning of Rowley. This is because it's not yet been possible to determine how the perfume bottle reached the bin where Rowley found it, or if it was the same bottle as that used in the Skripal attack. The Prime Minister said the UK and its allies would "deploy the full range of tools from across our national security apparatus in order to counter the threat posed by the GRU". But just how many allies does the UK have now? It's been reported that May will speak to both the UN and European Union about taking further action, but will she get full support with Brexit negotiations still in progress? The Prime Minister has been warned that security measures, like the European Arrest Warrant (EAW) that's being utilised to capture Petrov and Boshirov, will be a thing of the past when Britain leaves the EU. 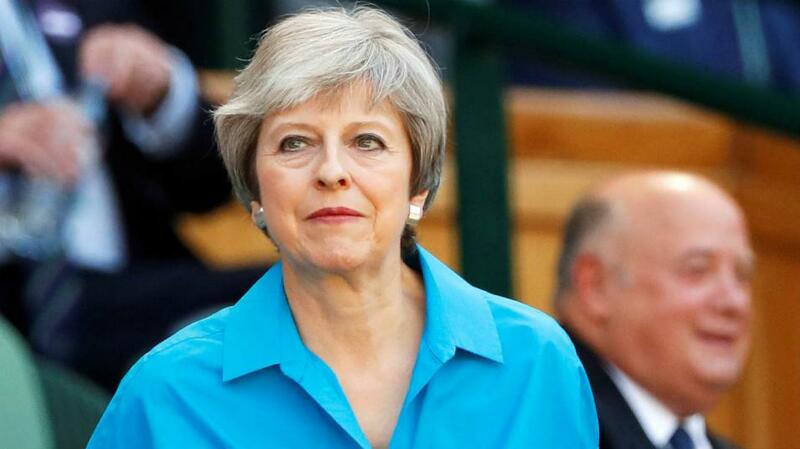 May has previously called for a special security relationship between the UK and EU after Brexit, but this is expected to be rejected by Brussels. This is a result of the Prime Minister refusing to accept the jurisdiction of the European Court and is just one of many issues causing problems in negotiations. Although she has been authoritative in her approach to Russia, May is struggling to get her Chequers deal accepted by the EU. There are still many stumbling blocks that are preventing the UK reaching an agreement with the bloc, triggering significant concerns that Britain may leave the EU without a deal in place. Now, with the Salisbury nerve agent attack, the weight and importance of having international security alliances has been under scrutiny. Amber Rudd, former Home Secretary, warned May that any loss of security cooperation would be "completely unacceptable to the people of the UK". Despite all this geopolitical upset, and the UK squaring up to one of the most powerful economies in the world, the markets seem relatively settled, with many reporting positive performances this week. Key indexes for Britain, Germany and France all enjoyed slight increases, though emerging markets continue to struggle.